Happy Tuesday! I hope everyone had an amazing weekend! The weather here in Indy has been so gorgeous and I have been soaking it UP! It was so fun being outside this weekend and even eating outside- so rare for February in Indy! 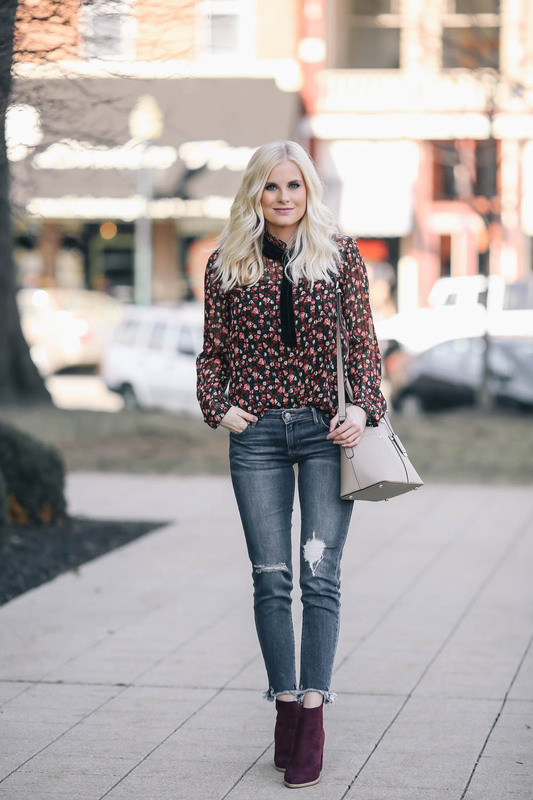 Today I'm sharing a blouse from StyleWe that I've been loooving. It's super feminine and I love the front tie up detail. 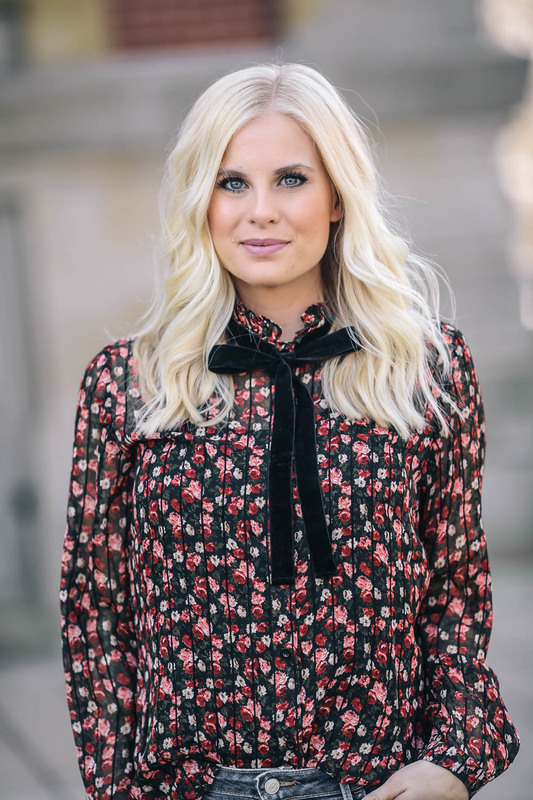 StyleWe has so many cute blouses and feminine styles. 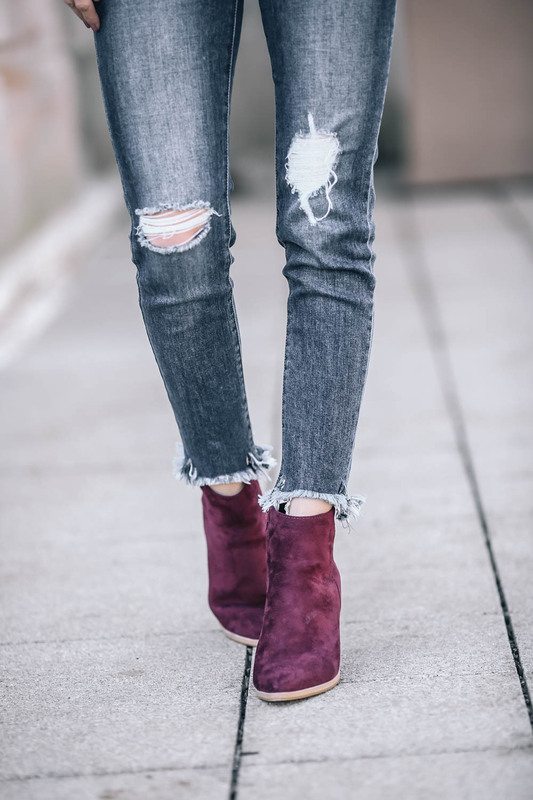 I paired this look with distressed denim, maroon booties, and a beige bag from Cocovann. I'll link everything below. Have a great day everyone!